Tens of millions of Americans are rediscovering libertarianism, a visionary alternative to the tired party orthodoxies of left and right. In 1995, a Gallup poll found that 52 percent of Americans said "the federal government has become so large and powerful that it poses an immediate threat to the rights and freedoms of ordinary citizens." Later that year, the Wall Street Journal concurred, saying, "Because of their growing disdain for government, more and more Americans appear to be drifting-often unwittingly-toward a libertarian philosophy." 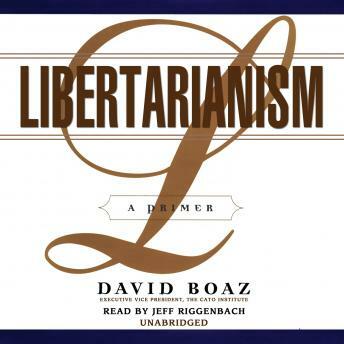 David Boaz offers an essential guidebook to the libertarian perspective, detailing its roots, central tenets, solutions, and future in American politics. This is must-reading for understanding one of the most exciting and hopeful movements of our time.